Randy L. Griffin, R.N., M.S., H.N.C. 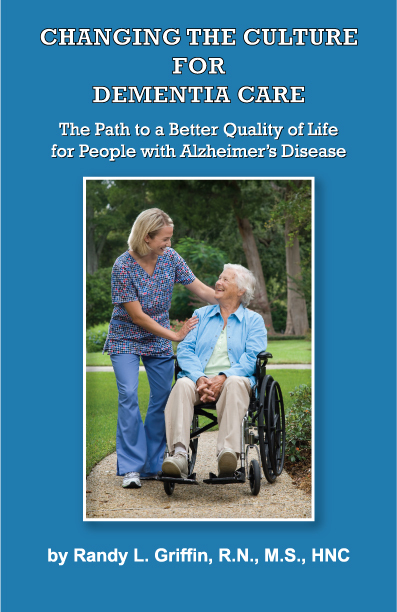 brings over 30 years of expertise in dementia care in her latest publication. Contact Randy Griffin to purchase a copy. 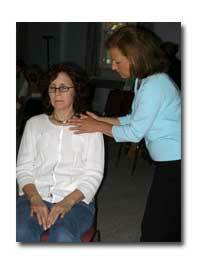 Therapeutic Touch - Now Available! In this 20 minute video Randy L. Griffin provides a concise background of Therapeutic Touch along with exercises and demonstrations. Bird Tales™ - Now Available! Bird Tales™ is a program that engages people with dementia through the natural world of birds. Studies have shown that nature itself has restorative qualities that promote healing and can actually revitalize a person physically, psychologically and socially. Our program encourages participants to connect with birds on a multisensory level of sight, sound, touch and smell. Purchase at Health Professions Press, Inc.